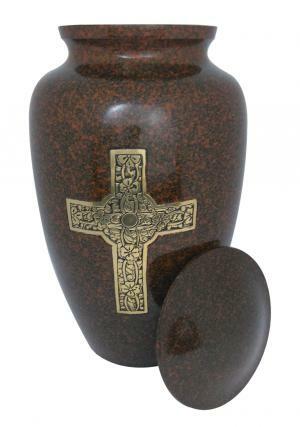 Brown Engraved Golden Cross Adult Cremation Urn is designed from skilled professionals with engraving of flowers on cross. 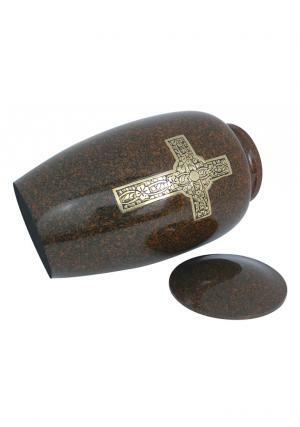 The urn is beautifully encrypted from brass metal for the storage of adult funeral ashes. 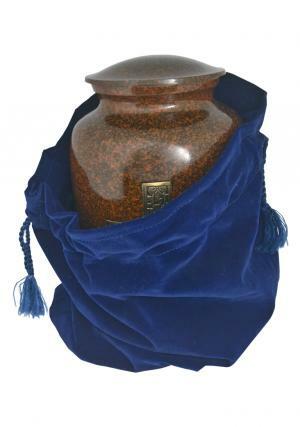 The Adult memorial ashes urn has screw threading on top to secure the ashes of the loved one. 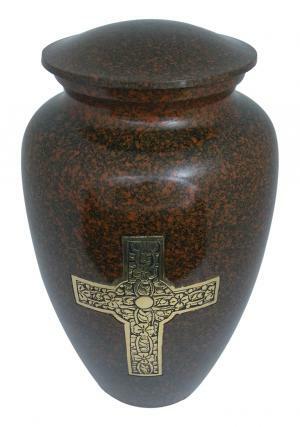 The Engraved Golden Cross Adult Urn will make a perfect storage place for loved cremation ashes. 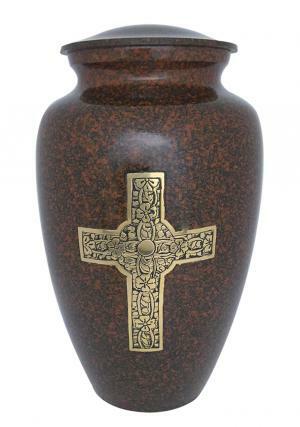 The Brown Adult Urn Engraved in Gold Cross is measured to store approximate 200 cubic inch of ashes with dimensions as 10.25 inch in height, 6.1 inch in width and weighs 1.95 kg.